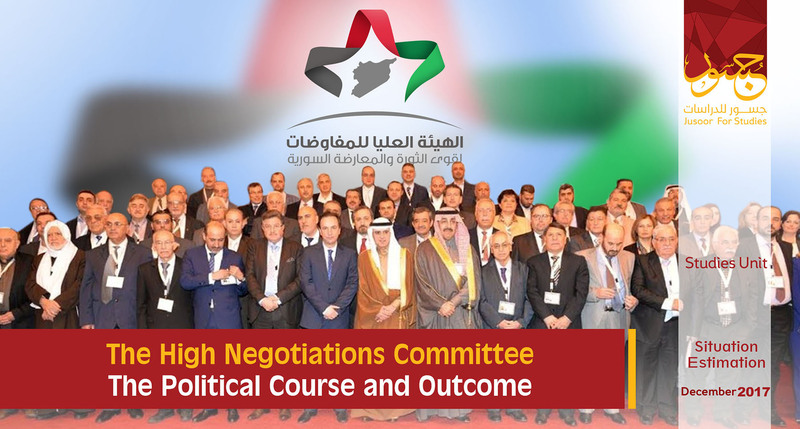 On the 9-10/12/2015, the High Negotiation Committee (HNC) had emerged after Riyadh Conference in order to unify the military and political forces of the Syrian opposition in addition to forming a delegation that can negotiate in the 3rd round of Geneva Negotiations. Since its establishment until its recent end, HNC considered as an exceptional situation that took place in the Syrian opposition because was a functional body with specific objectives contrary to the other political bodies. However, it used to fulfil other objectives that were not related to its tasks. 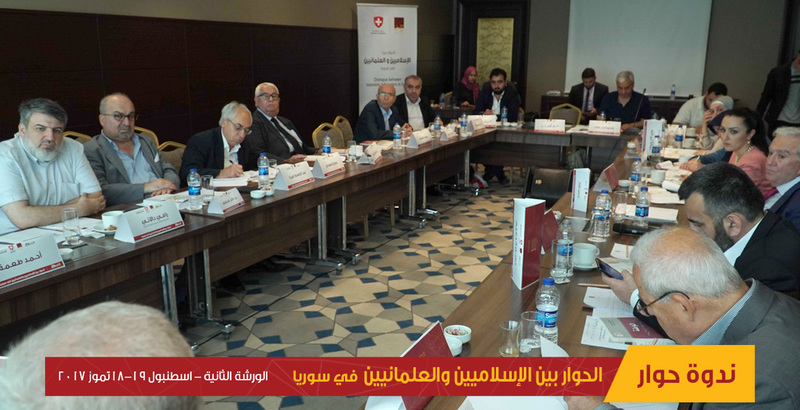 Further, HNC was able to establish unique relations with the regional actors, while the Syrian National Coalition faced many situations with regards to regional polarization as a result of the trends of its president. Many political achievements were fulfilled by HNC during the past two years but it had failed to perform well in regards to its major task of negotiating the Syrian regime and lacked flexibility in dealing with this process. Conflicts also took place between HNC and the National Coalition, where the two political bodies worked in parallel lines that intersected sometimes. The course of Astana was in line with the course of HNC and caused the forced absence of HNC’s role in this regard. This report analyzes the conditions related to HNC’s emergence, course, and achievements during the last two years. The Syrian National Coalition was the only side for negotiating and representing the Syrian opposition in the second round of Geneva Negotiations that took place on January 1, 2014, and it was the only round that the Syrian coalition represented the whole Syrian opposition in negotiating the Syrian regime alongside the massive international presence during that round, which had granted the Syrian coalition the most significant political achievement. The role of the Syrian Coalition had ebbed and flowed due to the tension between its components, which forced the International Community to withdraw the negotiating authority from this political body. The coalition’s rejection of implementing the drafted operational framework of Geneva 1 communique that was presented by De Mistura on July 29, 2015, in the Security Council, caused a turning point for the Syrian coalition in regards to losing the negotiating authority. In May 2015, De Mistura held a meeting with the Syrian coalition in Istanbul and declared that he would consult many characters, Syrian entities, and autonomous individuals from the Syrian regime and opposition in order to draft a road map that can be in accordance with Geneva communique. He also stated that addressing this draft would take place early of July 2015. However, the Syrian coalition rejected De Mistura’s proposal and its political body issued a decree that prevented the coalition’s components and president from meeting De Mistura before presenting this draft in the Security Council. Moreover, the Syrian Coalition rejected another proposal presented by De Mistura on July 30, 2017, as he called it the “document of facts” and the special envoy said that he wishes to hold more consultations with different Syrian sides in order to form a final and inclusive document through founding four working groups that are able to present a work mechanism that can help Syrians in identifying the basic concepts of Geneva Negotiations, which have been acknowledged since the first round of consultations that took place between May and June of 2015 and included separate meetings with about 216 Syrian characters in addition to regional and international actors. The expected outcomes from those groups should be gathered in one document and by that, they can become the main pillar of reaching an agreement between Syrians in accordance with Geneva Convention. 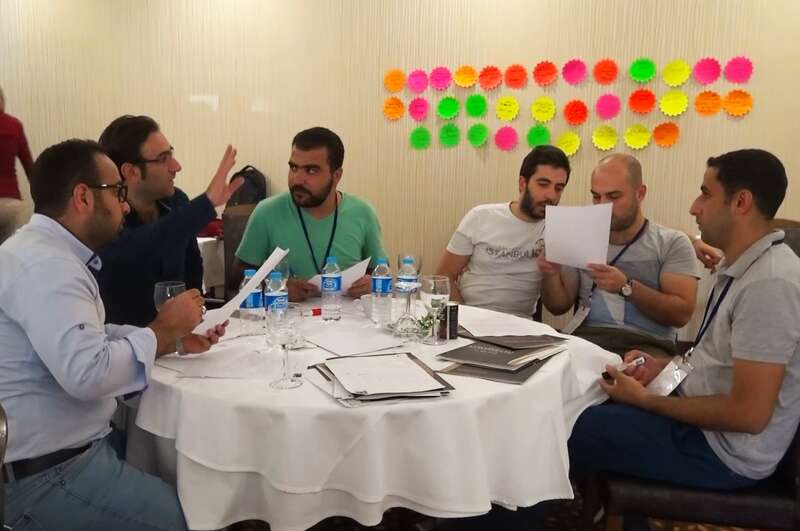 Each working group should focus on a certain issue as follows: 1- Security and protection. 2- Security and military affairs alongside fighting terrorism. 3- Legal and political issues. 4- Sustainability of the public services, reconstructing Syria, and the development projects. The Syrian coalition has also rejected this process and prevented its members from meeting with any of the working groups’ heads. End of September 2015, many dramatic changes took place in the Syrian scene especially, after Russia’s intervention which has changed the rules of political and military game, imposing different conditions on local, regional, and international actors. These changes made the resolution 2254 of the Security Council as a reference for the political solution later. The previous realities obliged the international community to found a new body that can handle the negotiating process with more flexibility and reality, whereby the first Riyadh conference has solved this issue by founding HNC in 2015. As per many observers of Vienna meetings that took place in November 2015, the formation of HNC was the fruit of American-Saudi cooperation because John Kerry requested from Adel Al Jobair to hold an extensive and inclusive meeting for all components of the Syrian opposition. Riyadh has intentionally avoided the invitation of the Democratic Union Party (PYD) to the conference despite the American desire of such attendance and this procedure can be attributed to Saudi desire of keeping good ties with Ankara. 102 Syrian characters who represent three main political entities such as the Syrian Coalition, the National Coordination Body (NCB), some armed military factions, and autonomous individuals including members of Cairo platform took part in the first round of Riyadh Conference. 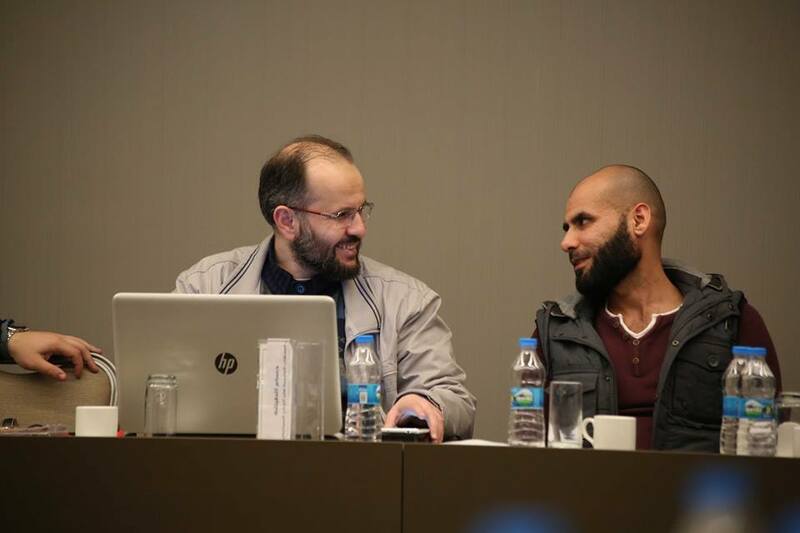 Many military factions partook in this conference including Ahrar Al Sham and Jaysh al-Islam. However Ahrar Al Sham has withdrawn in Day 2 of Riyadh Conference because NCB along with other characters would play a possible role in the future political process, while they already have an affiliation to the Syrian regime. The participation of the armed factions in HNC followed by its negotiating delegation had represented the first political presence for them, while other factions preferred not to partake and just supported those who participated in HNC. Some factions rejected to take part in any of HNC’s activities as well. 34 characters were selected by the participants’ of Riyadh Conference in order to activate in HNC’s tasks. Members of HNC were distributed as follows: 11 characters from the armed factions, 9 from the National Coalition, 8 autonomous individuals, and 6 from NCB. 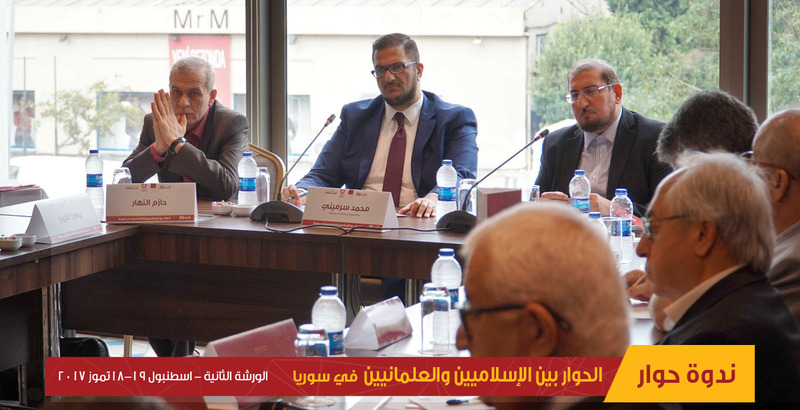 Furthermore, Riad Hijab was elected as a coordinator in HNC, Assad al-Zubi as head of the negotiating delegation, and Mohammed Alloush as chief negotiators. Hijab’s presidency during the past two years played a significant role in HNC because he was able to deal with different sides in addition to granting HNC a prestige and political presence. However, he was accused of making decisions individually and lack of flexibility in changing his opinions. Riad Hijab may have acted this way to prove his good intention with regards to defecting from Al Assad’s regime, as these procedures would not be followed by any other individual who used to oppose the Syrian regime before the start of the Syrian Revolution! Hijab was also accused of having poor political capacity, myopic, neutralizing those who have experience in negotiating from the second round of Geneva Negotiations, lack of any knowledge about the international resolutions, inability to improve the mood of the International Community who does not have any motive to stop the Syrian crisis. Tension took place between HNC and the Syrian coalition since the very beginning despite the fact that many members from the Syrian coalition used to be part in HNC structure including Hijab himself. Riad Hijab assumed his position in HNC at the expense of Badr Jamous who relinquished his position in Riyadh Conference 1. The tension between HNC and the Syrian coalition is related to the latter’s position who deemed HNC as a competitive political body, while the first party considered itself as a new body who should inherit the authorities of all other political bodies related to the Syrian opposition rather than the negotiating authority only. 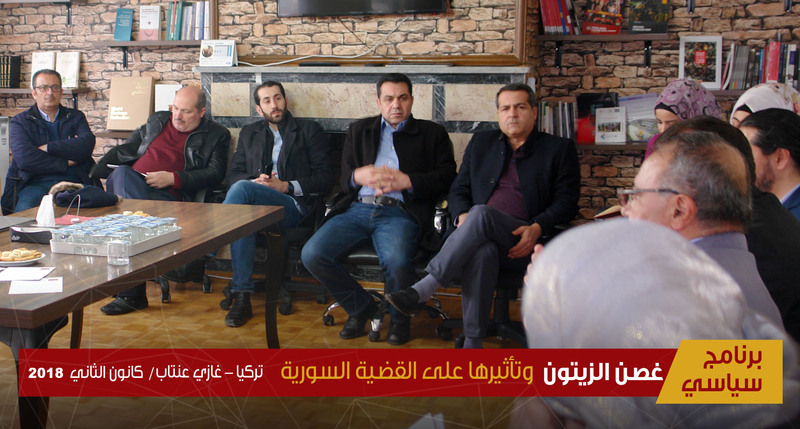 The conflict between the two political bodies had implications on their performance, where HNC started to issue political positions and statements in regards to the Syrian affair regardless whether they were related to the negotiating process or not. Furthermore, HNC withdrew the authority of external representation through the visits and tours of its president. Such visits were welcomed by the hosting countries rather than the visits made by the Syrian Coalition’s delegations. Another tension has taken place between the political body of the Syrian Coalition and its members who were representatives in HNC, excluding Riad Seif. Riad Hijab was able to gain the loyalty of those characters in every decision that he made contrary to the Syrian coalition thus, they considered themselves as representatives of HNC itself rather than the national coalition. The atmosphere was tense between the new regionally-backed negotiating delegation that was formed early of 2017 and headed by Nasr Al Hariri, the current president of the Syrian coalition Riad Seif and the coalition’s representatives in HNC such as Suheir Atassi. HNC was able to preserve its principles and gained a notable public support that neither the Syrian coalition nor the Syrian National Council has ever gained. It is also thought that the new HNC will not have the same public support. HNC’s public support reached its peak when its delegation withdrew from Geneva Negotiations in April 2016 due to the constant bombing by Russia and Assad’s forces. Moreover, Hijab’s speech in Geneva was welcomed by the armed factions and the opposing grass-root despite the fact that HNC retracted its decision after a while and its demands were not fulfilled! 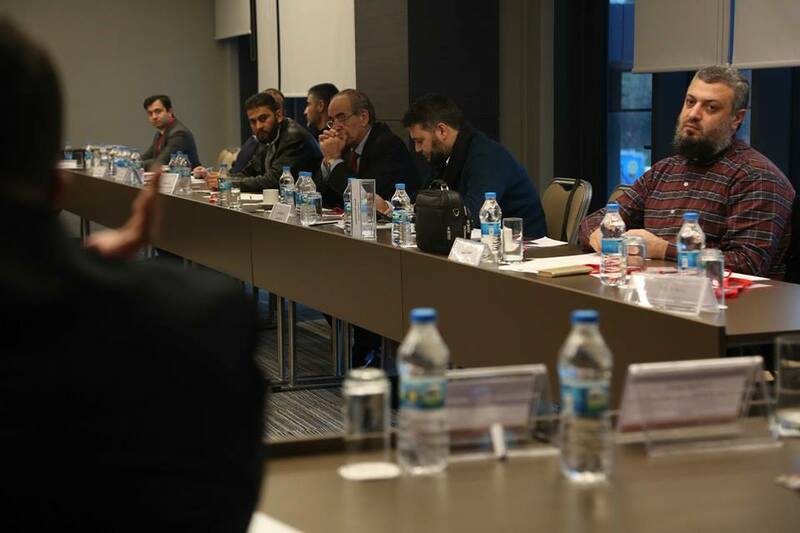 HNC was a well-organized body and there were no random statements by its members contrary to the Syrian coalition and the Syrian National Council, except the statements made by Khaled Al Mahamid. HNC was able to attract many well-experienced characters who used to work for the Syrian regime such as Riad Hijab, Riad Naasan Agha, and Yahya Al Aridi. Those individuals were able to be statesmanlike, granting HNC the “entity” status that is close to a State itself, which the rest of opposition’s institutions lacked. HNC was not able to determine the international trends and lacked the flexibility in avoiding the other actors’ desire of cancelling and replacing its role, as it was restructured in the second round of Riyadh Conference. The presence of Assad al-Zubi and Mohammed Alloush in HNC had conveyed negative messages even before the start of the negotiating process. It is worth mentioning that HNC’s presence between 2016 and 2017 had witnessed a large-scale Russian military intervention in Syria alongside the greatest military loss for the Syrian opposition especially, recapturing Aleppo city by the Syrian regime and its allies. Some observers reckon that HNC would gain more if it was more flexible and it should have even established political relations with Moscow in order to reach understandings. However, HNC opposed such scenarios and refused to visit Moscow. Further, HNC had failed to make any progress with regards to many issues such as the detainees or the besieged areas. HNC was not able to respond to De Mistura’s ten questions that are related to the main constitutional principles included in resolution 2254. While HNC’s vision about the political solution had many contradictions and caused the presence of objections from different spectrums of the Syrian opposition especially, Kurds, Assyrians, and Turkmen because their national rights were absent from HNC’s vision in addition to making the constitutional declaration within the transitional phase. Riyadh Conference II has ended the presence of HNC despite the fact that its emergence took place after Riyadh Conference 1, whilst the new negotiating delegation has cut off the ties with the previous HNC and presented answers to De Mistura’s questions after two days of arriving in Geneva as an attempt to prove that the new delegation has detailed vision that is different from its predecessor. The former HNC did not have any integrative or detailed vision, causing many incoherent positions and actions from its members thus, they failed to fulfil any negotiating objective. The new negotiating delegation should learn from the mistakes of its predecessor in order to present more integrative and detailed vision. HNC’s populism has gained only public support rather than making any progress in the negotiating process. HNC’s policy gambled on the instant position of the grass-root without taking into consideration the long-term reactions. Despite the fact that HNC was able to join some major armed factions, it had failed to establish any strategic relations with them thus, it had lost the back of some loyal factions. Further, HNC was apparently confused in handling the course of Astana, which included some armed factions along with other factions who used to back this committee.